The Certification Shieldsm service is something that can benefit each and every collector of certified coins by monitoring and alerting the owners of compromised certification numbers. Third Party Grading (TPG) has sought to combat counterfeiting where genuine coins are sealed in tamper-proof “slabs” and assigned serial numbers that serve as a means to verify their authenticity. But now counterfeiters have begun not only to counterfeit rare coins, but produce fake slabs with real serial numbers inscribed upon them. An example of Certification Shield in action. 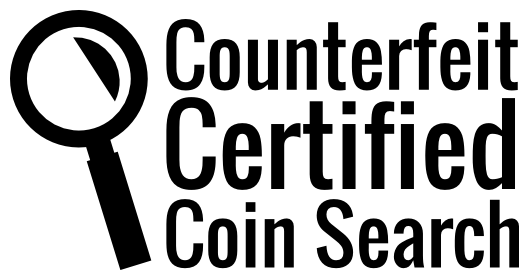 Certification Shieldsm works by allowing subscribers to list their certified coins in their Black Cabinet account and immediately be informed of any certification numbers that appear on counterfeit slabs in the database. 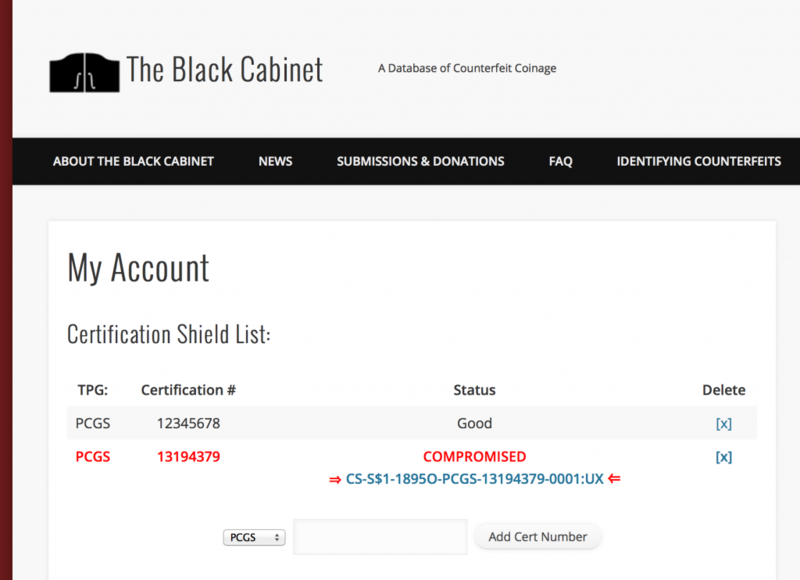 Furthermore, if a matching certification number is subsequently added to The Black Cabinet database (and we are constantly updating the database) the owner is immediately alerted via email of the breech. All Free Accounts get 5 cert numbers tracked for free! A basic account of up to 100 cert numbers is $25 a year. A PRO account of unlimited cert numbers is $250 a year. Go to the My Account page to sign up or manage your subscription.